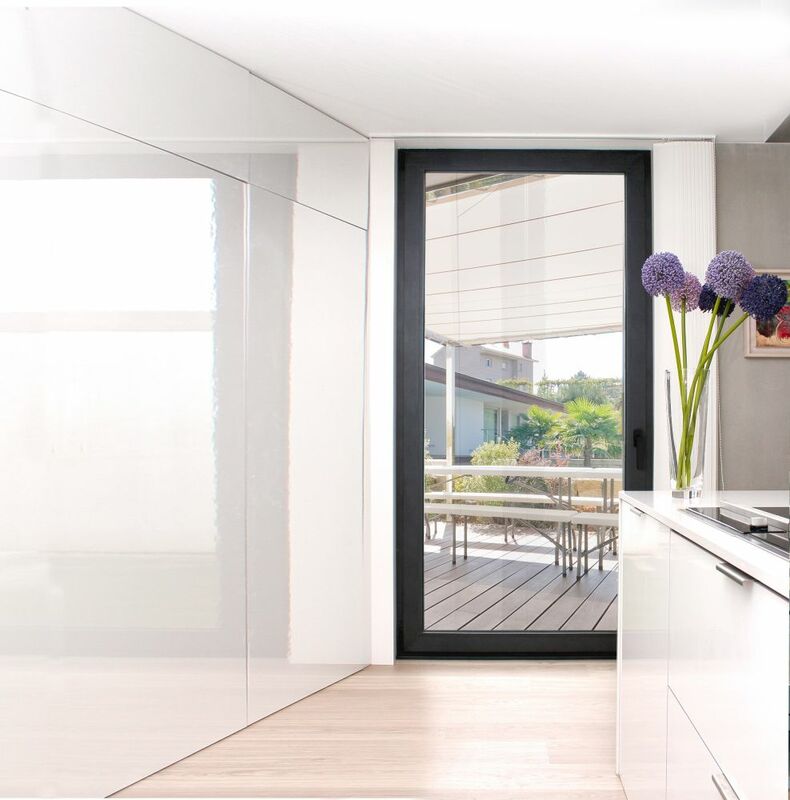 COR - 80 DOOR SYSTEM HINGED - Zen Aluminium - Premium aluminium door, window and shutter systems. A new concept of a Euro-Groove hinged system capable of reaching the maximum levels of weather tightness, energy saving and acoustic protection with reduced assembly and fabrication time. 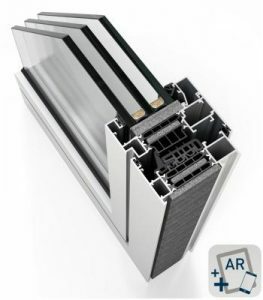 With 80 mm of frame depth, it responds to the most severe climatic demands, and provides an unbeatable degree of energy efficiency thanks to its minimal window transmission value (UH) that can reach 0.8 W/m²K. 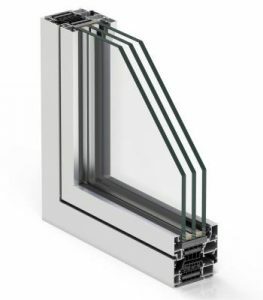 These minimum values are achieved thanks to the perfect design of the thermal break zone with 45 mm tubular polyamide strips as well as the incorporation of cross-linked polyolefin both in the glazing space as well as the interior of the frame and sash. 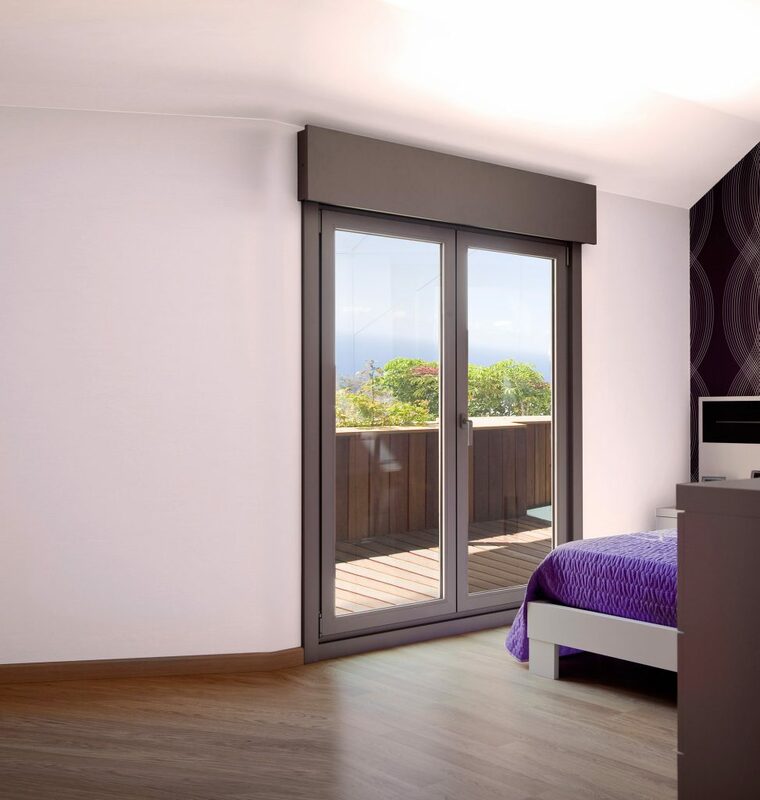 Its great glazing capacity of up to 65 mm allows for the use of energy efficient glazing and compositions of large thicknesses as well as double chambers that gives excellent thermal and acoustic performance (up to 46 dB of noise protection) that translates in to maximum energy saving and total interior comfort. 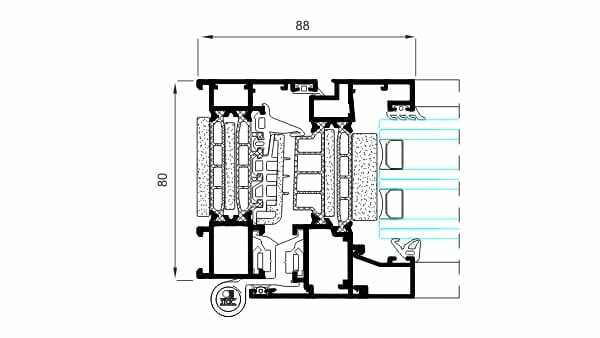 The performance achieved in the AEV test, has shown this window to have the best water tightness performance, air permeability and wind resistance in order to guarantee the greatest protection against the most adverse atmospheric agents. 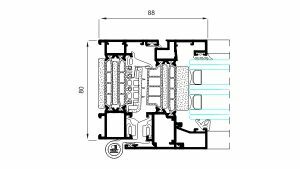 The simplicity in its assembly and less labour time, allows for a more industrialized fabrication resulting in a final saving of time and cost. Reference test 1,23×1,48 m., 2 sashes.